If you’re subdividing or building a new property, is important to plan and design your telecommunications as earliest as possible before the construction starts because NBN / Telstra takes Between 3 and 4 months to install service. Avoid delays by choosing our services (NBN certified designers and installers). As building a new residential or commercial premises, make sure your property is Fibre ready; even though, Fibre Network Provider has not arrived to your area. Check your address https://www.nbnco.com.au/ or NBN Map. Be aware, NBN Takes over telstra network 6 months before the date on screen. • Apply for an AFR (Telstra) / NBN Application. • Submit Compliant Design – Avoid delays. • Pay NBN / Telstra Contribution Fees. • Install Pit & Pipe / Lead-in infrastructure. • Upload Asbuilts – (If this is required). • Request Inspection – (If this is required). Lead-in and 3PPP installations> – Greater Perth;From: Per quote! 1 – 3 units: Compliant Design + Application. More than 3 units: Compliant Design + Application + External Asbuilts. More than 3 units & multi-level: Compliant Design + Application + External Asbuilts + Internal Asbuilts. Send us a copy of your site plans to provide you with a quote or call us! Applications to AFR on behalf of you or your company. For a new sites that need to connect and utilise Internet and Phone services in Telstra Network Areas. The developer / Owner or someone on behalf of them will need to apply for an AFR (Application for Reticulation). Residential subdivision(s): 2 or more lots in a new estate development. Residential Building(s): 2 or more units in a residential building, including Group Housing (e.g. townhouses or villas). Commercial / Industrial buildings(s) – Retail, Office, Industrial or Commercial building(s). Mixed use Building(s): Buildings that contain a mixture of Residential Building(s) and Commercial / Industrial Building(s). You need to lodge an AFR for each stage of your development at last 3 months prior to the commencement of any subdivision road works or building civil works associated with the development. If you want to proceed; please download and fill out the form to obtain the necessary information for us to apply on your behalf. If you’re designing or building a new property, just follow the 3 easy steps below to enable a smooth and hassle free connection to the nbn™ broadband access network. This will ensure residents can enjoy the benefits of an nbn™ powered plan when they move in. If you’re a home owner or investor thinking of building a new residential premises, make sure your new home is nbn ready. Early Planning: predesign the Lead-in Conduits (LICs), pit and pipe works or pathway works in the new development according to the nbn standards. Apply for NBN: it will provide the approval of the predesign and the contribution Price of the development. 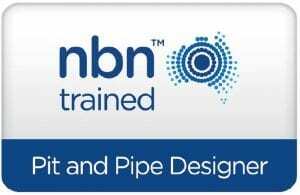 Design, build and install: Final design (As-builts) and build the Lead-in Conduits (LICs), pit and pipe works or pathway works in the new development according to the nbn standards before the nbn™ network can be installed. 1. APCOMS carry out application, submit Communication Plan and gain STW-G # (NBN Checking allow 7-14 working days). 2. NBN send out the Contribution Price of the Development with the Developer Agreement. 3. NBN receives payment they respond with Confirmation email attaching the council letter. 4. NBN approves the Application. 5. Installation Lead in is carried out. 6. NBN schedules delivery service date. 1. APCOMS carry out application, submit Communication Plan and gain AYCA # (NBN Checking allow 7-14 working days). 2. Receive Preliminary Go Ahead from NBN. 3. Design Submission with AYCA Reference Number- (NBN checking allow 7-14 working days). 5. NBN send out the Contribution Price of the Development with the Developer Agreement. 6. Agreement by Authorised person to Sign Off to NBN along with Contribution Payment (Waiting period depending on Authorised person response to NBN). 7. NBN receives payment they respond with Confirmation email with the Developer. Agreement an 8-page document is attached it contains a Reference Number (NBN checking allow 7-14 working days). 8. 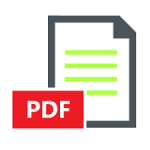 APCOMS notified by Authorised person that Sign Off along with payment has occurred and they provide us the Reference number contained in the 8 Page Developer Agreement Document: (Waiting period depending on Authorised person). 9. Installation of 3PPP/Lead in is carried out: D&S Communications receive plans installed as per design or any changes and Mandrel Test. 10. After install is completed; APCOMS confirm with builder site is at Practical Completion : (Waiting period depending on Builder responding). 11. ASBUILT submission and Notice of Practical Completion (PCN) to NBN (NBN Checking allow 7-14 working days). 12. NBN carry out site inspection (NBN Checking allow 7-14 working days). 13. If site inspection is passed and the Build is approved, NBN authorises and provides a Certificate of Practical Completion which means Transfer of ownership or Grant Licence to NBN for Pit and Pipe works or Pathway works (Internal Communication Conduit Path Way) (NBN Checking allow 7-14 working days). You need to lodge an NBN application at last 3 months prior to the commencement of any subdivision road works or building civil works associated with the development. If you want to proceed; please download and fill out the form to obtain the necessary information for us to apply in your behalf. After the process has been completed either with Telstra or NBN; the connection connection is completed and you are able then to place an order to an Internet Service Provider of you choice to have your services connected . Click here to see some plans. Do you need to apply for a new service infrastructure for your development? Contact us for any inquire you might have – our technicians are ready to help you.